A quick update. 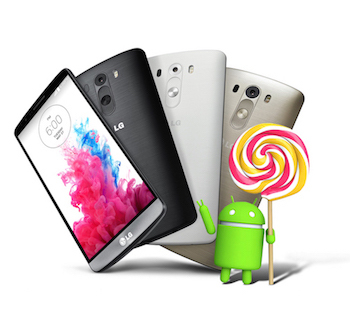 LG announced that the LG G3 will be getting the highly anticipated Android 5.0 Lollipop starting from today. With the upgrade, the LG G3 will showcase a new design language with added depth, shadow and animations. Be blown away by the improved new layout and color scheme that will be available for notifications and the new lock screen. Other improvements include a new security feature, improved performance through a new Android Runtime (ART) software, a new feature T Action for swift performance and more. The update is expected to roll out via OTA to users today. For more information, visit www.lg.com/sg. there have remarkable LG Brings Android 5.0 with massive processor. i am so much impress this kind of glories LG brand ever i scene.